Joseph Loughery, 59, of Dublin, NH, passed away unexpectedly on November 14, 2018. Joe, who was affectionately known as Papa Joe, was born on April 17, 1959 in New Britain, CT. He was a devoted and loving son to Joan and Jack Loughery of Venice, FL and was married to his best friend and the love of his life Vicki (Robson) Loughery for 22 years. Joe grew up in New Britain and attended Culinary School at EC Goodwin. He was a gifted chef and owned 5 restaurants and catering businesses during his lifetime in ME, CT and RI. He retired in 2001 after suffering from a Traumatic Brain Injury (TBI), but continued to explore options to stay busy, such as building food trucks and helping redesign kitchens for several restaurants. Even after retirement, Joe enjoyed cooking and making people happy through his culinary creations. His last restaurant, The Picnic Basket, in Pittsfield, ME was sold in 2007. Also among Joe’s many talents were finish carpentry and renovations of old buildings and furniture. Joe and Vicki met in 1993 when he traveled to Florida to help with the rebuilding of Miami after Hurricane Andrew. Joe also appreciated good music, especially live music. He hosted many music festivals and helped to promote local bands. His most recent favorite vacation was traveling on Southern Rock Cruises. 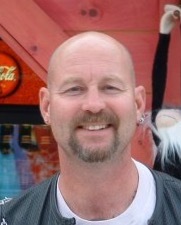 He also enjoyed snowmobiling, ice-fishing, camping, riding motorcycles with Vicki and meeting new friends along the way. In addition to his wife and parents, Joe is survived by his brother, Robert Loughery (Karen) of Charlotte, NC, and his nephew MacKinnon (Mac); stepdaughter, Kristen Rodriguez of Miami, FL; Mother-in-law Barbara Robson, of Winslow, ME; Father-in-law Vic Robson and his wife Sandy of Clarkesville, Georgia; Brother in law, Greg Robson of Winslow, ME and numerous aunts, uncles and cousins. Joe’s eldest brother Mike also passed away unexpectedly just 14 days after Joe on November 28th, 2018 in Portland, ME. The two brothers have now been reunited with God, each other and their aunt, Sister Ann Loughery. A celebration of Joe’s life will be held at a later date. The family requests memorial contributions to be made to Monadnock Community Hospital – Behavioral Health Fund, 452 Old Street Rd, Peterborough, NH 03458.